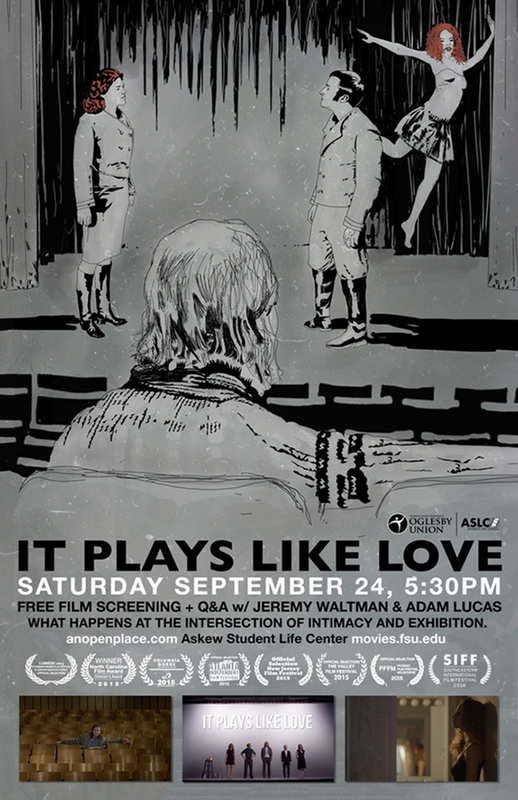 It Plays Like Love will be screened at the FSU Askew Student Life Center, on Saturday Sept 24th at 5:30PM. Q&A featuring Jeremy Waltman & Adam Lucas. It Plays Like Love is a feature length film, which started out as a Kickstarter project and has gone on to be featured at several national and international film festivals and the winner of honors including best picture, best screenplay and best original music. A theatre company unravels when its director casts his two lead actors, both working to save their broken marriage, in a self-indulgent play that makes them recreate the director’s own recently-failed relationship.